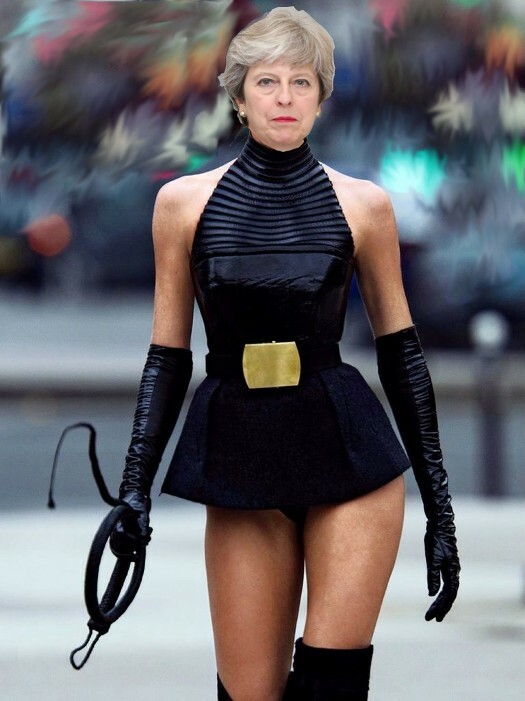 The British Gazette » Brexit: Madame – still in possession of the whip hand! A: Ratify the Withdrawal Agreement. B: Don’t and leave without a deal. IF the UK is to REMAIN in the above mentioned supranational confederacy, it must REVOKE it’s notification under Article 50. You do not need an incredible IQ to figure this out. Merely the ability to read English. Something that Eton College does facilitate albeit at great expense! Of course the Honourable Fool has had his moment of clarity as he appears to have woken up to the fact that the Remianers in the House of Fools (or which there are many) may seize the opportunity and manoeuvre to cancel Brexit! To repeat, cancelling Brexit of course can ONLY be done by revoking Article 50 notification. Revocation can either be by Prime Ministerial fiat without asking the voters or by legislation having asked the voters. Of late, Madame has proved herself to be nothing if not consistent. She has taken “running down the clock” to a whole new level by holding “Meaningless Vote #3” on the evening of Friday 29th March 2019 – the day the ultimatum from the EU expires in relation to the Wednesday 22nd May Brexit date! Of course the fools are scheduled to play their indicative vote merry-go-round this evening in order to divine some sense of direction! This, to the likely relief of the nation’s goat herd whose members might be thanking themselves that the fools are not planning of examining the entrails of one of their number! With Arch-Remainer Speaker Bercow [For it is He!] in the Chair, it is likely that the Kyle-Wilson amendment is in with a chance of going forward to recommendation. The technicalities of this have been explained before so we will not repeat it, but suffice it to say that should the Kyle-Wilson amendment be laid before the house preparatory to a vote on Meaningless #3, and the fools vote for it, Madame will be left with no choice and no more time in which to vote through the withdrawal agreement! Which might have been her intention all along! You see, Madame has acted at all times in the interests of the Tory Party and not the country. This because she cannot and is unable to see how there can be a difference between the interests of the two. For her, they must always be as one! IF this scenario happens the EU will be placed in the situation of having to accept the UK legislating for a Brexit to occur at 11PM on Wednesday 22nd May 2019 – BUT with the possibility that BEFORE this date the British People will have voted to Revoke Article 50 and to Remain within the supranational confederation! Now a word about time and legislation: When the need arises, the Parliament of the United Kingdom of Great Britain and (since 1922 Northern) Ireland can – and has – legislated with very great haste. The unlamented Third Reich discovered this when on the day war was declared the UK passed legislation in one day! Thus ratifying and completing the necessary legislation in the 54 days between 30th March and 22nd May 2019 is not for the UK Parliament an insuperable challenge. In fact, we would expect that with the suspension of The Political Parties, Elections and Referendums Act 2000 (c. 41) we think the Confirmatory Vote – aka The Second Referendum – will be held on Thursday 2nd May 2019 – the same day as the local elections in many parts of the UK. Thus there is the distinct possibility that The Right Honourable Stephen Barclay, Secretary of State for Exiting the European Union and the Member for North East Cambridgeshire will put lay before the House of Fools on Friday 3rd May 2019 a Statutory Instrument revoking Article 50 thus ensuring the UK remains a province within the European Union of the Cities and the Regions. Now here we come to an interesting situation. One that will have been deliberately engineered by Madame! Remember, for Madame the interests of the Tory Party and the interests of the UK are the same! You see, because the UK is preparing to leave the EU, NO preparation will be made to take part in the EuroParl elections. Thus, IF on Friday 3rd May 2019 A50 is revoked and the UK remains in the EU no EuroParl elections will be taking place. Thus UKIP and Mr Farage and his fan club – aka The Brexit Party – will be able to take up their seats. Nor will of course the Tories or Labour, or the Lib-Dems or the Greens and most particularly – to Her very great fury – Mistress Sturgeon’s SNP! This is of course what Madame will have wanted. The EU will of course seek some for of redress for all those citizens of the European Union who are denizens of the British state! We would not be one bit surprised if Madame puts forward a suggestion: that a new treaty be signed: which allows member states to choose the method of election for their MEP’s! Which will mean that the late arriving British MEPs. The 8th European Parliament was elected across the European Union at the end of May 2014 for the 2014-2019 session. The United Kingdom was apportioned to send 73 out of the 751 members. Doubtless Madame will insist that the UK’s Electoral Commission be allow to draw up the boundaries of 73 equal sized (in terms of population) constituencies and (with the notable exception of Northern Ireland) that each elect a single member by the First Past the Post system.